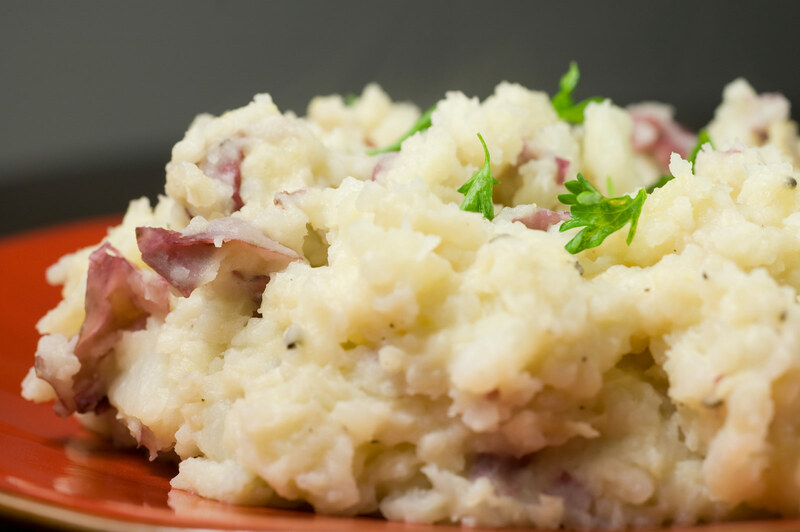 Today I am thankful for mashed potatoes. Now, to me, mashed potatoes comprise a rather simple dish; after all, the standard ingredients are some sort of potato (personally I prefer red potatoes, also known as new potatoes), butter, a little salt to taste, and some milk or cream. In addition to those standard ingredients, people often add anything from sour cream to dill to their chosen concoction of potatoes for a little kick and some depth of flavor. And for those who really want to be even more adventurous, replacing the water used to boil the potatoes with chicken broth adds an even greater dimension of flavor.